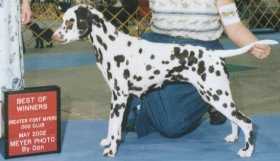 Soccer started his career with a bang, taking a puppy match Group I in Ft Myers. 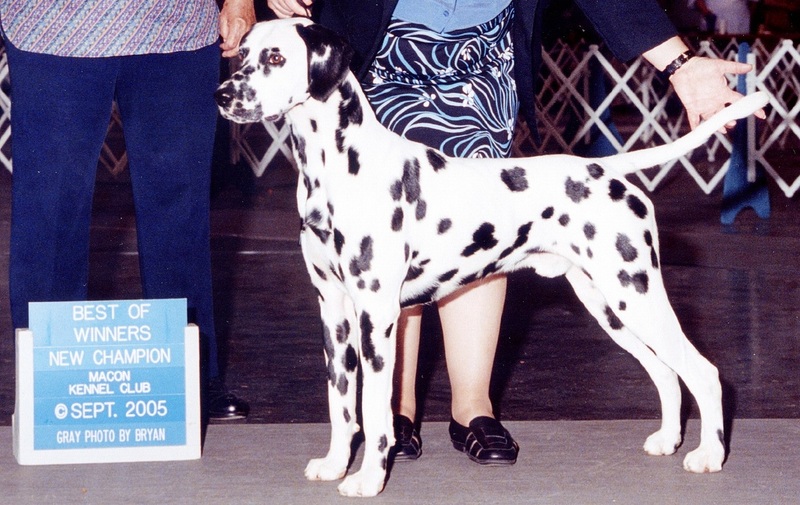 He was quickly pointed from the puppy class and garnered his first major going WD/BOW at the 2005 Mid Florida Dalmatian Club Specialty show. Handled at various times by Buddy, Cheryl, Trish and/or Mary-Lynn, Soccer is an easy going gentleman with ground covering sidegait, wonderful pigment and extremely dark eyes.